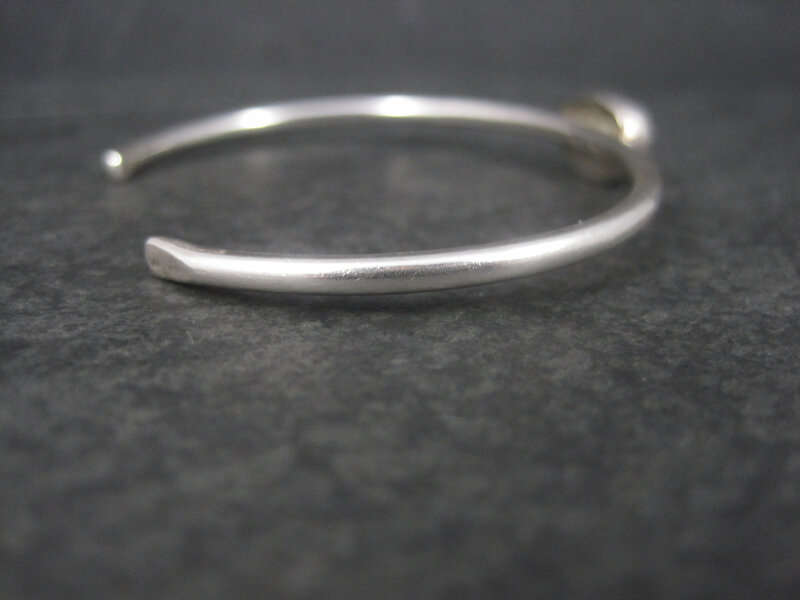 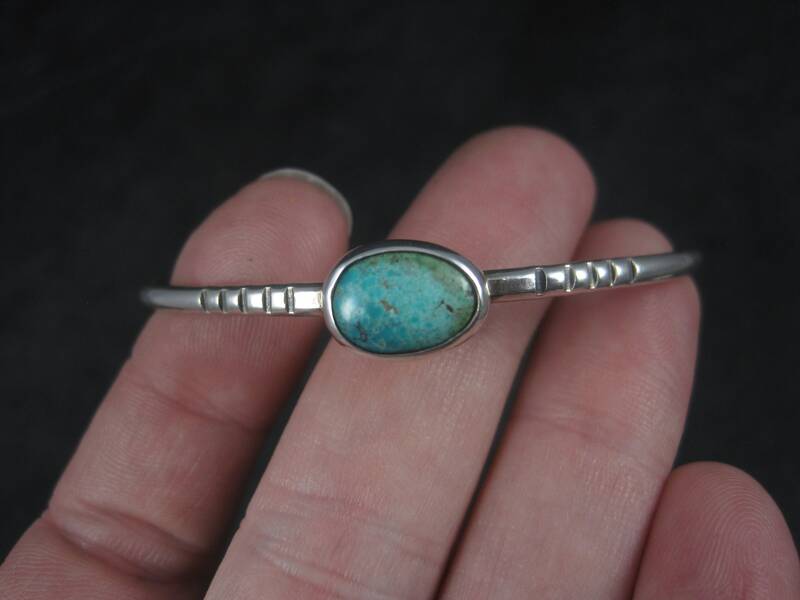 This beautiful Southwestern cuff bracelet is sterling silver. 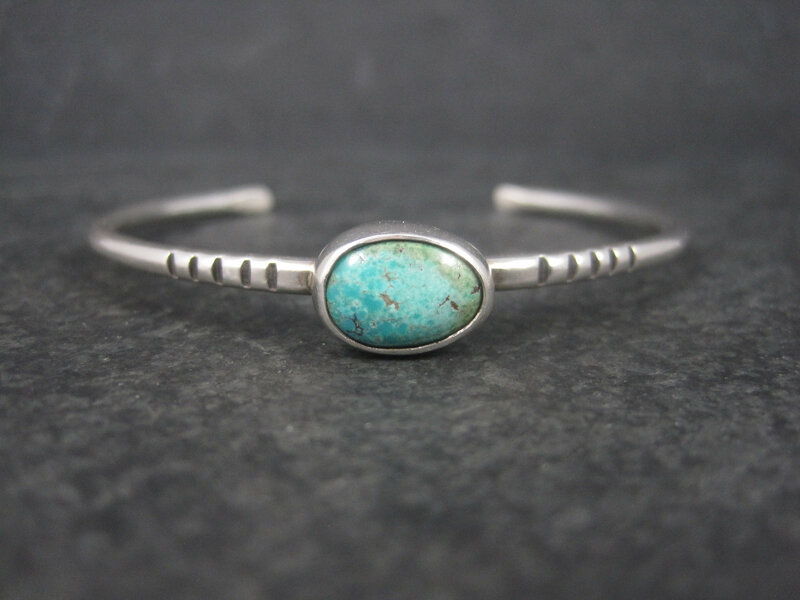 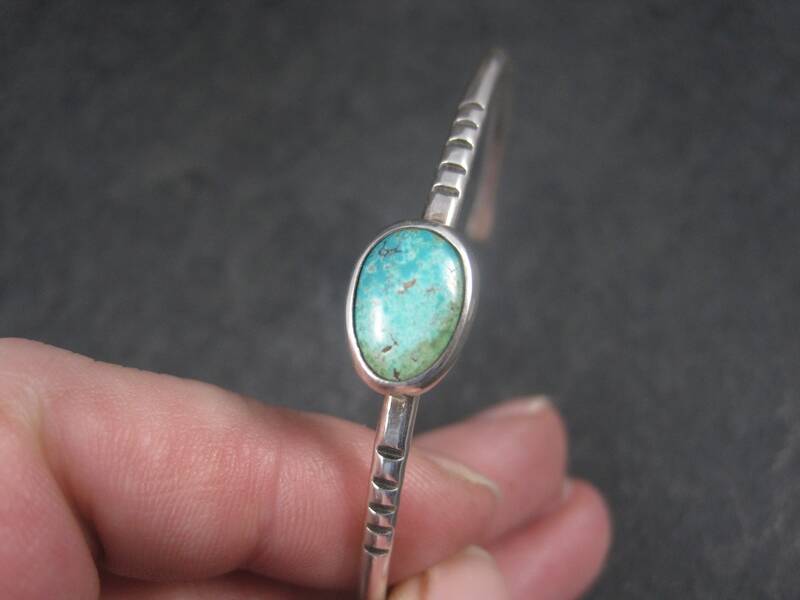 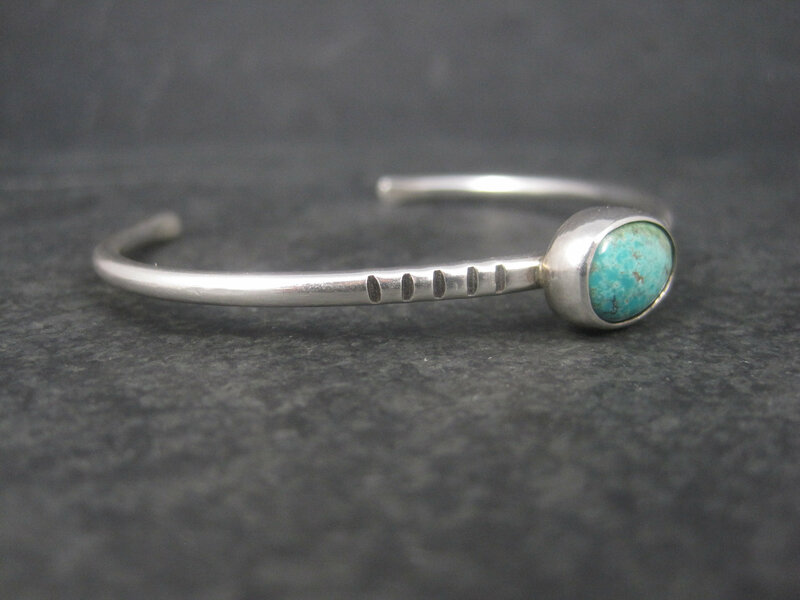 It features a 7x10mm turquoise stone. 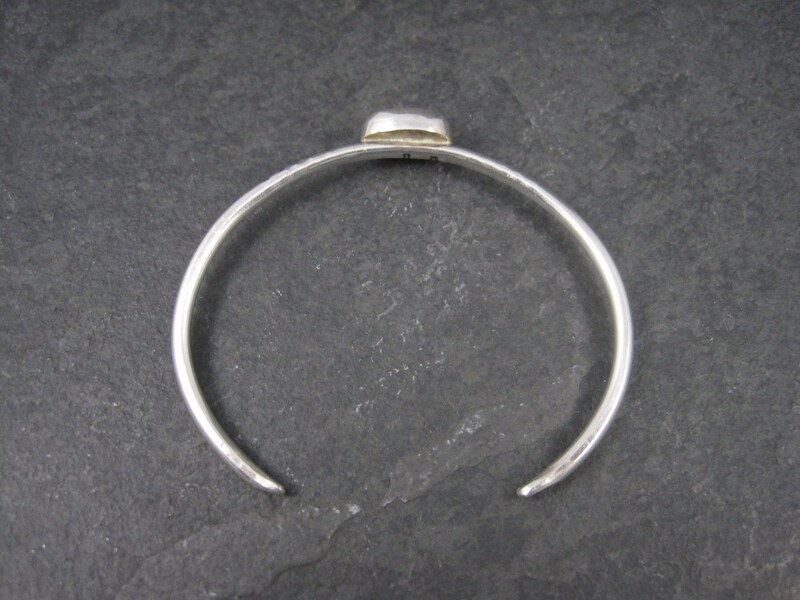 The face of this bracelet measures 3/8 of an inch. 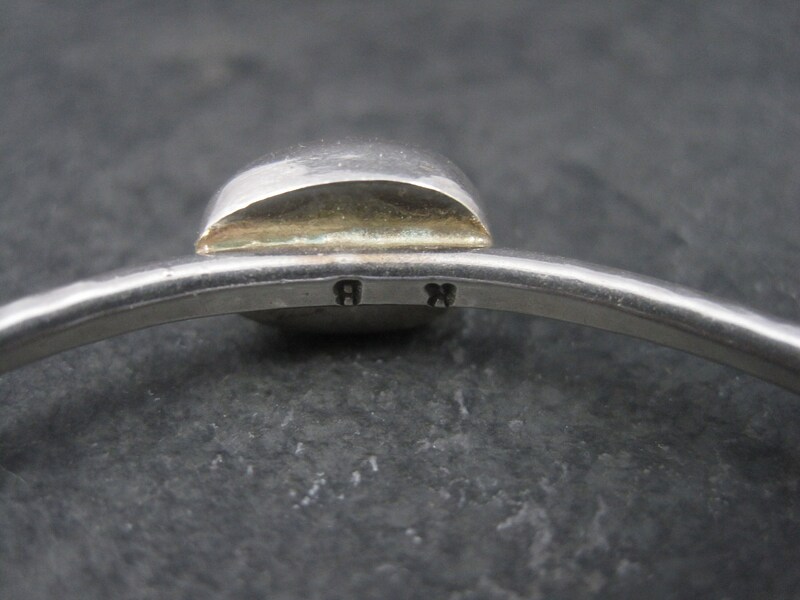 The band measures 1/8 of an inch wide. 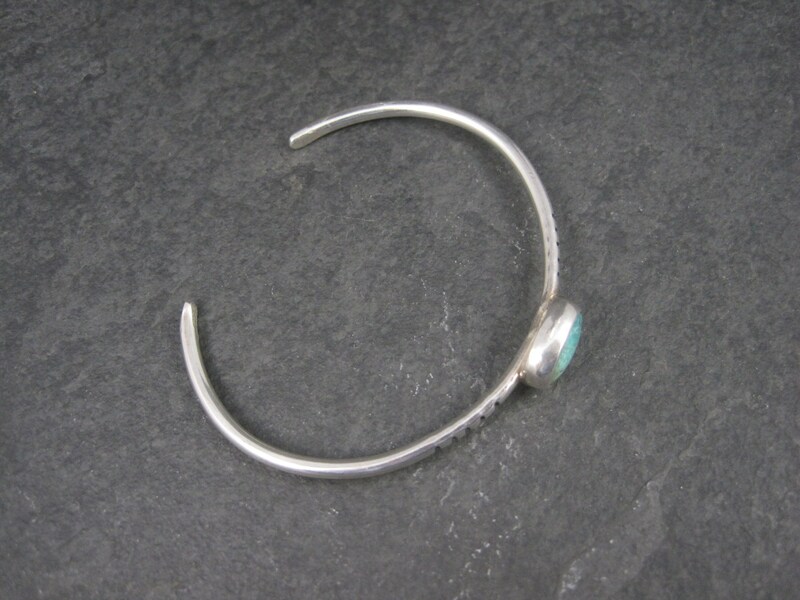 It has an inner circumference of 6 1/4 inches including the 1 1/8 inch gap.